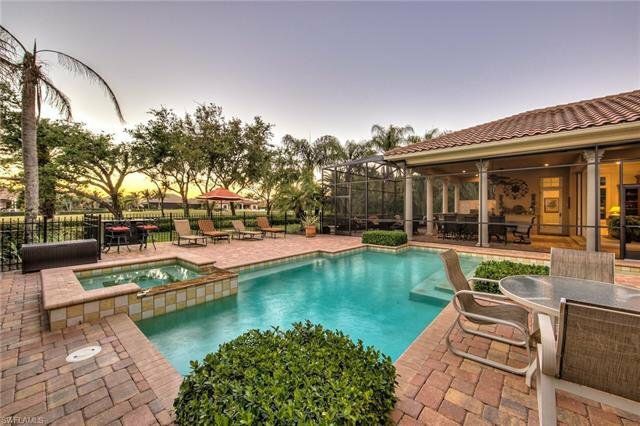 HOUSE MEMBERSHIP INCLUDED WITH PURCHASE- $40K VALUE! 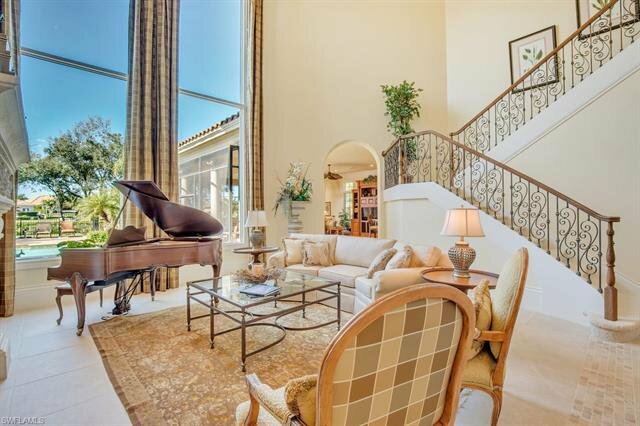 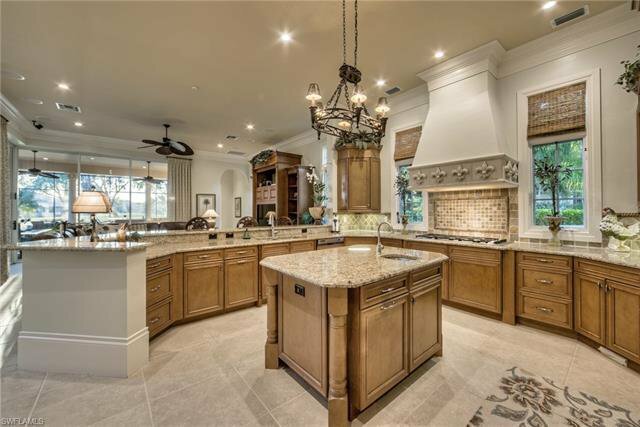 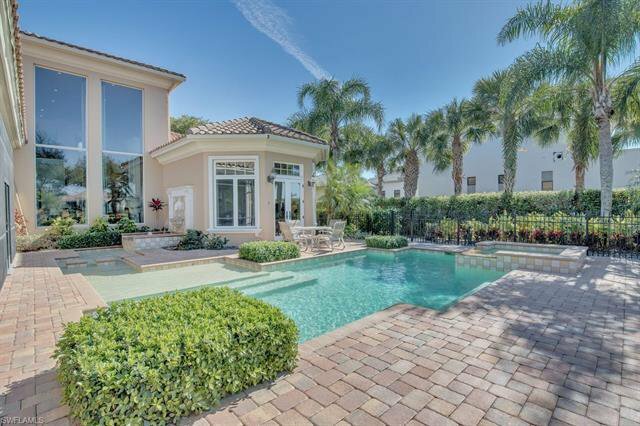 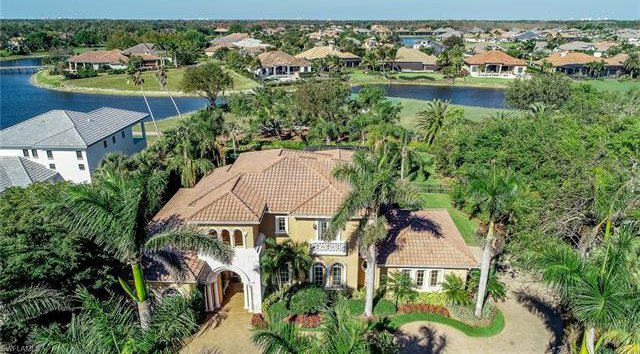 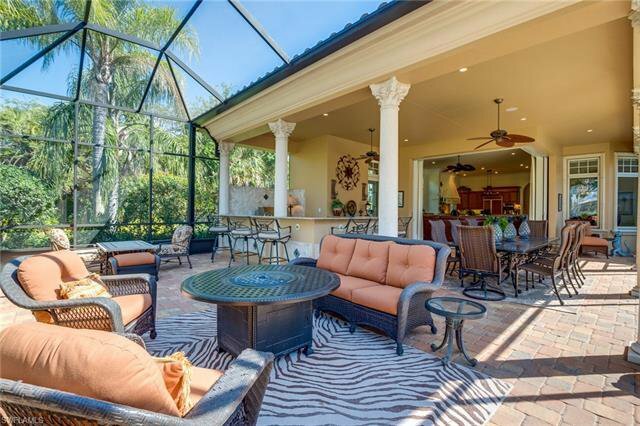 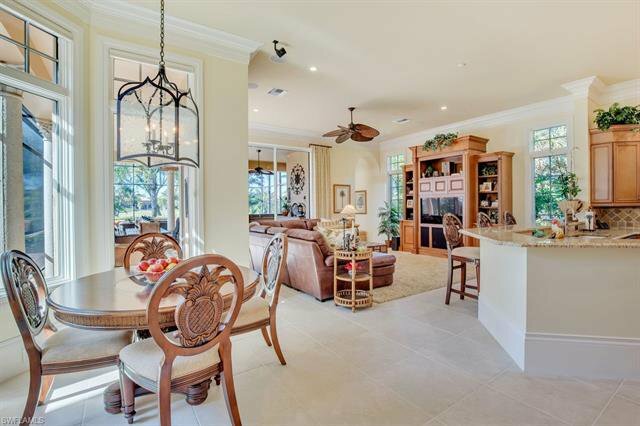 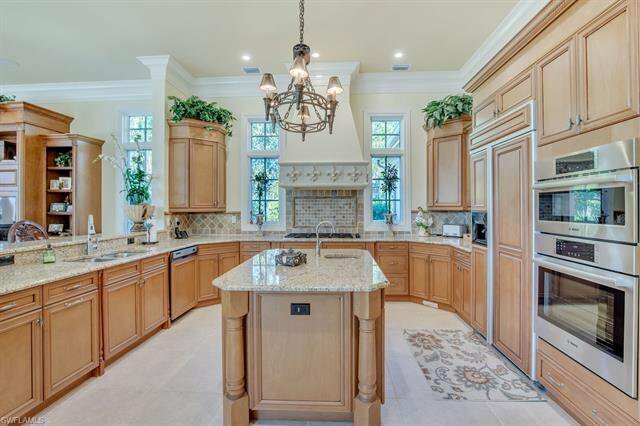 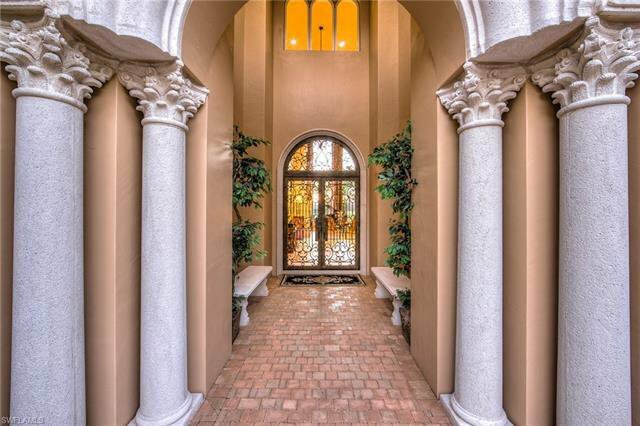 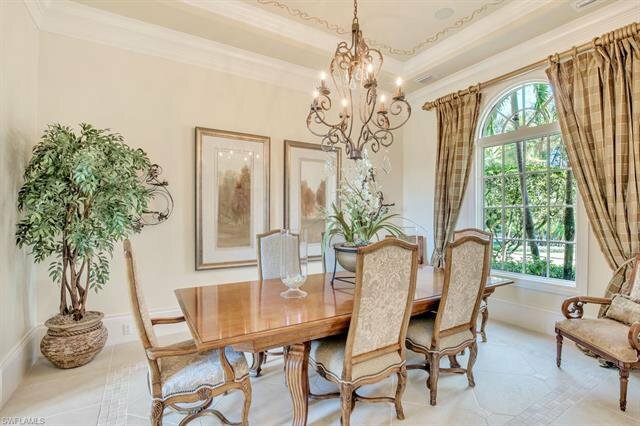 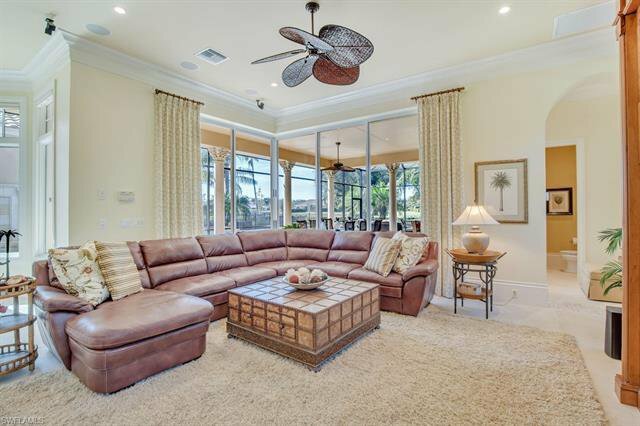 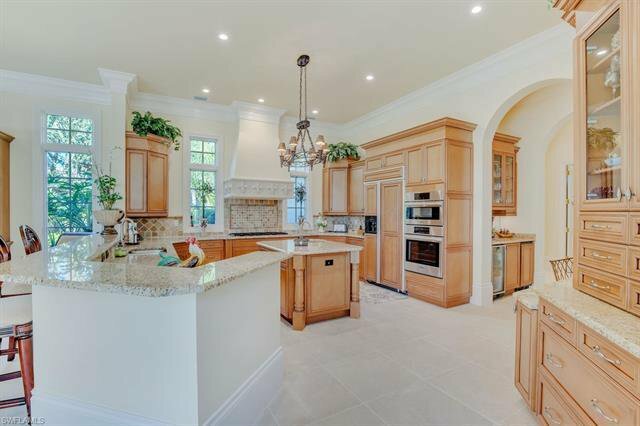 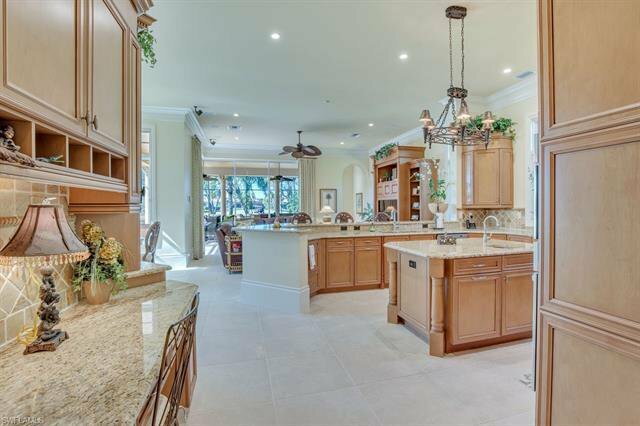 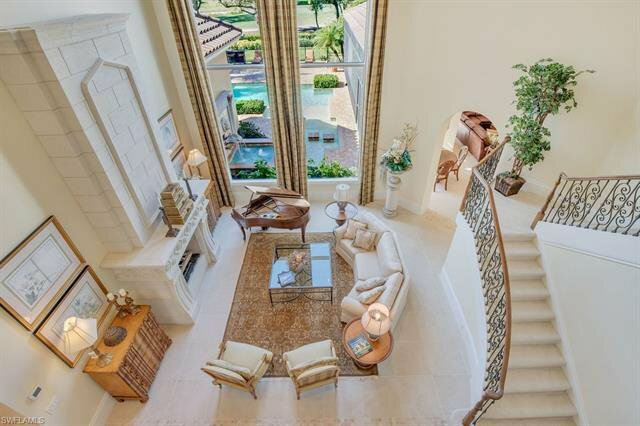 Located in the exquisite Quail West community of Naples, this former model offers incredible detail inside & out, fresh, new light paint, and sweeping views of the 13th hole and sparkling lake. 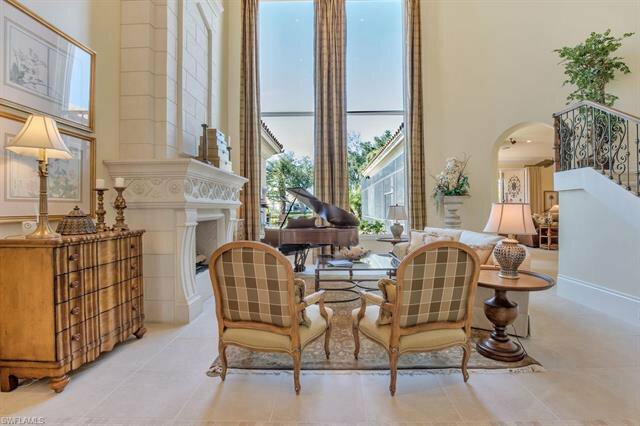 The circular drive & impressive entry welcome you to elegance, with floor to ceiling glass windows showcasing the grand living room and view. 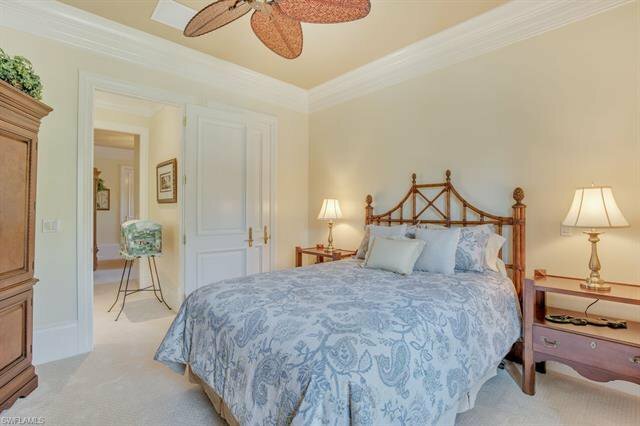 The master suite on the first floor boasts his & hers private bathrooms, 2 large walk-in closets and a seating area w/lanai access. 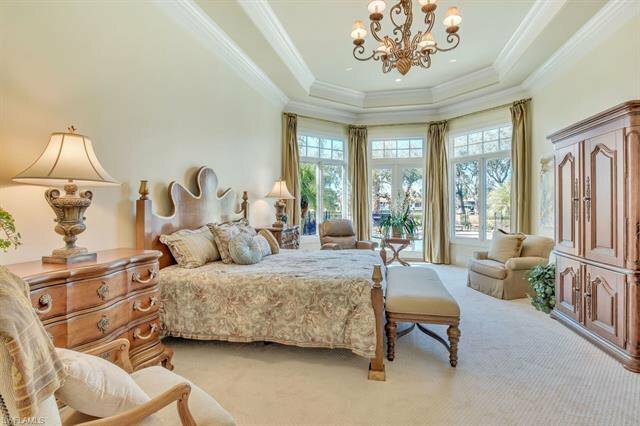 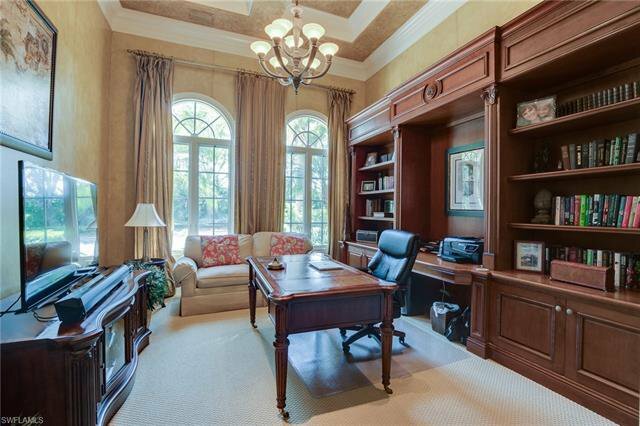 Private study and one guest suite are also located on the first floor, while 2 additional guest suites are found on the second. 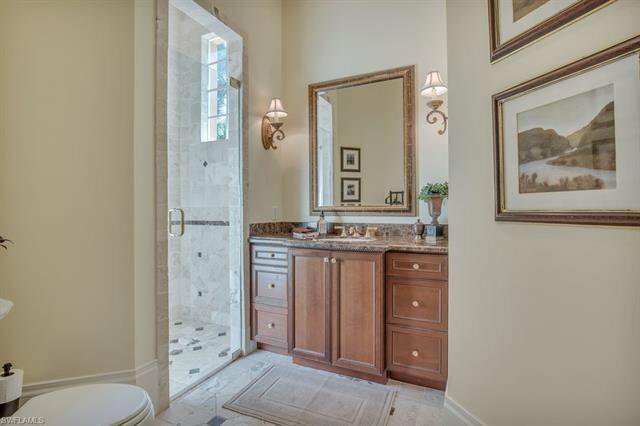 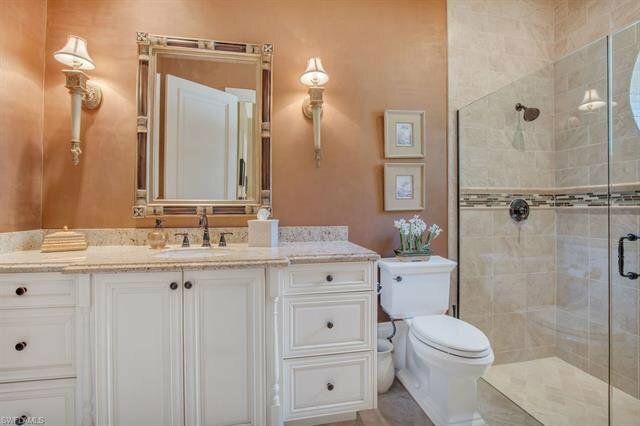 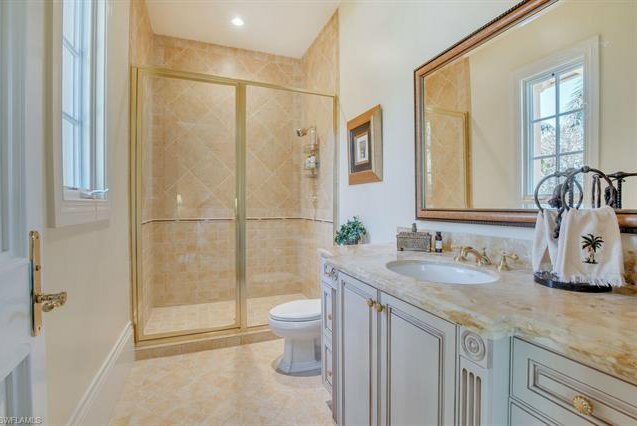 All guest bedrooms have their own private baths and walk-in closets w/ custom built-ins. 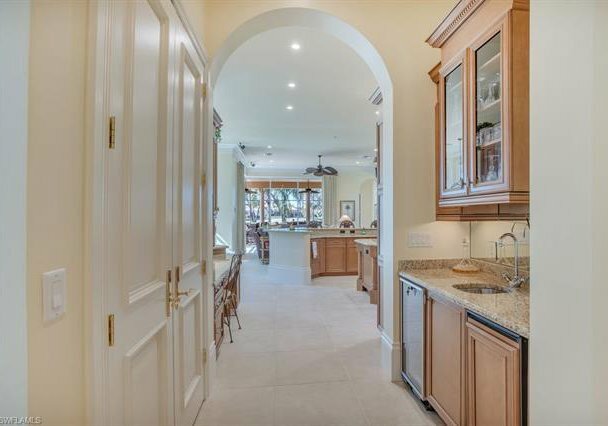 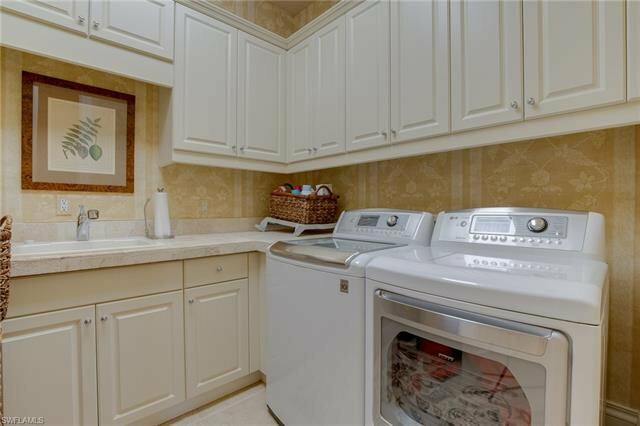 The gourmet kitchen offers high-end appliances with a gas cook top, breakfast bar, large center island, butler’s pantry with a wine fridge and ice maker plus a large walk-in pantry. 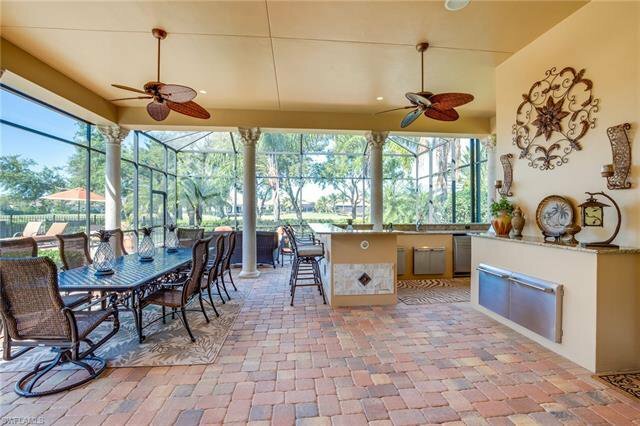 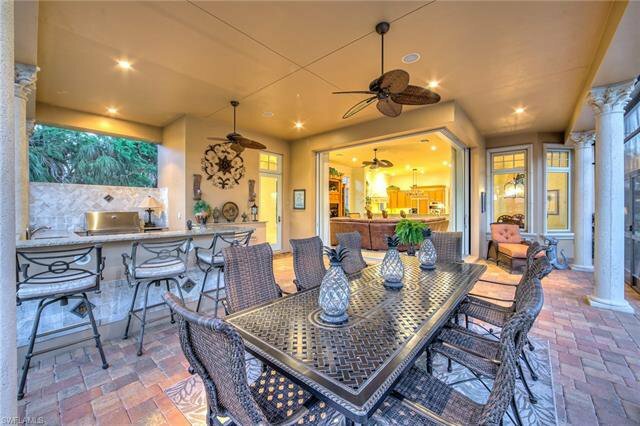 Pocketing, impact-glass sliders completely open up the family room to outdoor living where a full outdoor kitchen, bar & plenty of covered space under screens offer the perfect setting for dining and entertaining. 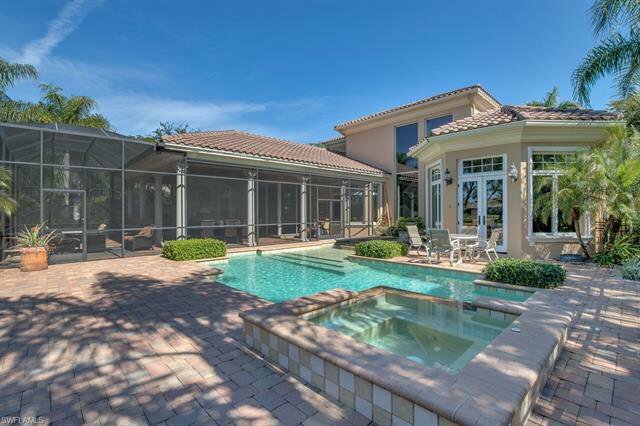 An open pool area allows complete enjoyment of the sunshine!